Now that summer is here, we were looking forward to spending an afternoon at the sandy Sydney surf beach. It wasn't quite the perfect beach weather, but as it turned out the setting couldn't have been better with overhanging clouds, glistening sun showers and a double rainbow. Michelle and Ryan are long time sweethearts from South Africa. They enjoy getting out and being active so we wanted to do a shoot that shows their sporty and spontaneous side. They got right into it and a little rain didn't stop them from having a good time. We had just as much fun taking the photos! 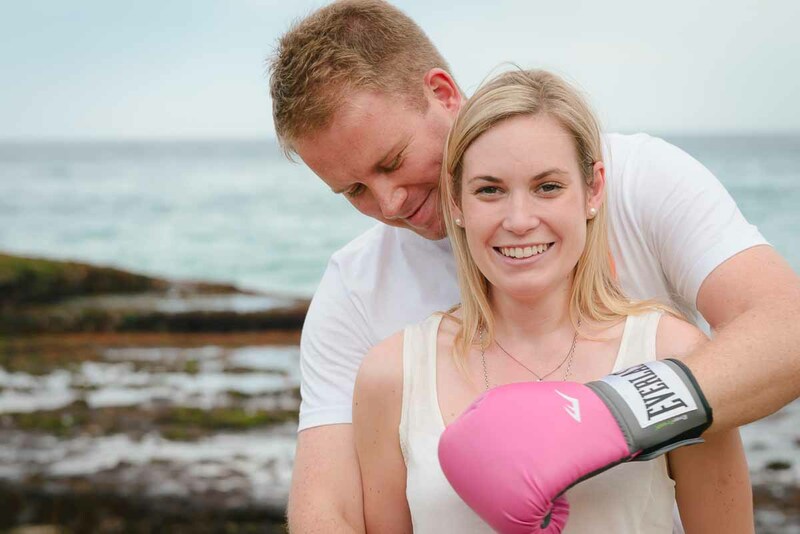 Oh, and a tip for brides-to-be, punching is a great way to let off some steam before your big day!